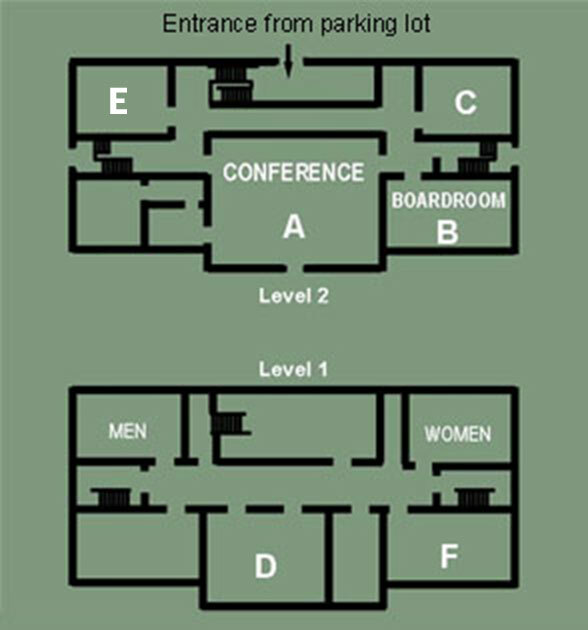 Conference Center - Room F - Pineland Farms, Inc.
Boardroom F is located on the lower level and can seat 14 people. 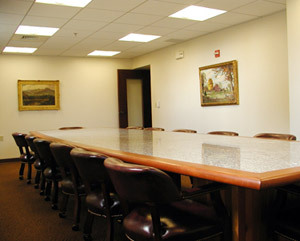 With its beautiful granite table and leather chairs, it’s an ideal location for any type of board meeting. Boardroom F includes teleconferencing and internet capabilities with wireless options. *Rates are for full-day (9 hours) reservations; Bookings outside regular weekday hours (Mon-Fri, 8am-5pm) require an additional charge based on booking specifics. A discount is available for nonprofits and Pineland tenants. For more information, please contact us. To request a room online, use our reservation inquiry tool. Return to the Conference Center main page.